FridayFive: The Most Effective Marketing Tool Ever? You will often hear people singing the praises of the Internet when it comes to marketing a business (We’re no exception, of course!). They will talk about the power to reach millions of people from all over the world by using Google and Social Media. It can easily become overwhelming, and most small businesses just don’t have the time or inclination to study the now complex world of Search Engine Optimisation and Social Networking. It is also now common for businesses to neglect their websites, having not got the results they really expected from it. It’s a real shame, but that’s the truth. Modern marketing isn’t all complex though. Some tools really do make your life easier, and can automate tedious jobs such as customer follow-up. So, if there was just one new element of internet marketing that you should add to your marketing, what should it be? A simple task that takes just an hour or two a month would be good right? A tool that has been proven to increase profit by over 100%, with almost no additional cost to the business? A tool that automates repeat sales and retains your customers for the long-term? Email Marketing delivers all of those, and more. An effective Email Marketing system is the most lucrative, and yet most overlooked, marketing tool that any business can add. Email marketing is simple to use, and even if you’ve never sent an email before you can easily learn a few basics and put this technique to work for you. By asking your customers to join a newsletter or ‘special offers’ notification list, you then build what is essentially your own marketing distribution channel. Ask customers who come into your store to sign up for your newsletter. Even if you don’t have a website, you can easily build a list. Put a form on your website. If you have a website it is essential to place a sign-up form prominently on your web pages. Ideally, focus all of your web pages to a ‘call-to-action’ to join your newsletter. “What’s in it for me?”. In order to get them to sign up to receive your emails you have to offer them a reason to do so. Immediately give them a discount or freebie to entice them to join. It needn’t cost you much. For example, put up a sign saying ‘write down your email to be notified of special offers, and you can take a free apple’. Your existing lists. 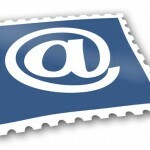 If you are well established you may already have a database of your customers email addresses. You can import your list of customers easily with most email marketing systems. Each email that is sent from an email marketing system has an option for the receiver to ‘opt-out’, and no longer receive the newsletter if they wish. Email marketing systems are designed to keep users happy and have to comply with ‘spam’ legislation, so you don’t have to worry about it. Advertise your newsletter, not your business. If you offer a great discount or freebie prominently in your advertisement, and then provide a specific web address that ensures they have to join your newsletter to get the gift, then you can quickly build a list of prospects and effectively sell to them later. By opting to join your newsletter, they are already ‘engaged’ prospects, so it also makes your sales easier. Once they’ve joined your newsletter you can send them coupons, early bird sale information, etc. This creates more customer loyalty and makes them feel like they’re special and appreciated. Local email marketing is a very powerful and cost effective way to increase the number of customers you have as well as improve customer loyalty with your existing customers. Don’t overlook this extremely effective method to help you grow your business. In todays competitive business environment you need every advantage you can get. Join Blymi Media’s newsletter here to see our own email marketing in action. You’ll receive a concise guide on making best use of the internet for marketing, and we’ll send you special discounts and and early notification of new services too. Anthony Mercer is an Internet Marketing Specialist delivering modern direct marketing solutions through his Sheffield Internet Marketing Company 'Blymi'. With distinct strategies that improve customer retention, increase online referrals and ultimately increase clients profits. If you enjoyed this post, you may find this Free Internet Marketing Guide useful too.